Last year, Sarah Outen was rowing across the Pacific Ocean from Japan to British Columbia as part of her London2London human-powered global circumnavigation adventure. She had already kayaked from London across the English Channel, rode a bike across Europe and Russia, and had kayaked from Russia to Japan. Now, she was making her second attempt to row across the Pacific; her first attempt failed when her specially-designed row boat started leaking and she had to be rescued. Her second attempt was faring better, but the weather gods were not cooperating. 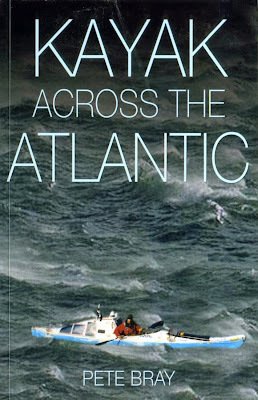 After weeks on the water, she realized that the winds and currents were making eastward progress almost impossible. In fact, they were pushing her north towards Alaska. And that's when she improvised Plan B. Enlisting the aid of adventure kayaker and filmmaker Justine Curgenven, Sarah decided to put her rowboat ashore at the western tip of Alaska's Aleutian Islands, and kayak the length of the archipelago, up the Alaska panhandle to the nearest road so she could continue her human-powered adventure by bicycle. She and Justine spent 101 days kayaking 2500 kilometers in one of the most remote places on earth. Fortunately for the rest of us, Justine took along her cameras. Highlighted by the incredible and magnificent scenery of the Aleutian Island chain, Justine's new DVD, Kayaking the Aleutians, simply proves again what the kayaking community already knows: she is a marvelous filmmaker. Not only does she deftly capture the astounding natural environment such as the wild storms, the bear encounters, and the sea lions encroaching on their camp, she is equally adept and bringing out the human side of the story: her friendship with Sarah, the charming encounters with the locals, the joy at the end of a day of successful paddling, and the anxiety when the paddling day is on the brink of going seriously sideways. There were many such days, as Justine and Sarah had to deal with uncooperative currents, raging winds, and equipment failures, but, buoyed along by Sarah's seemingly unfailing optimism, the two friends completed a journey that the rest of us can only dream about. 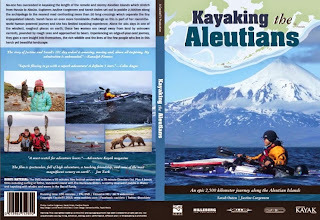 The DVD also contains four short bonus films; a windy paddle in Wales, kayaking in the Bay of Fundy with whales, and two films about kayaking in the waves at Tofino with The Hurricane Riders. Don't hesitate to check it out if you have a chance. It's difficult to watch Blackfish, the recent film concerning the continued captvity of orcas, and of one orca in particular, Tilikum, whose life in captivity, and the tragedies that have occured since, began here in Victoria. 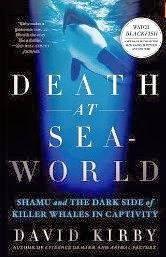 As noted in my review of the book Death at SeaWorld, Tilikum was involved in the first death of an orca trainer, which occured at the local Sealand of the Pacific attraction in 1991. When Sealand closed the next year, Tilikum and the other orcas were sold to SeaWorld. In 1999, a dead man was found sprawled across Tilikum's back -- apparently the man snuck into SeaWorld after hours and climbed into Tilikum's pool -- and in 2010 Tilikum dragged a trainer into water and killed her. 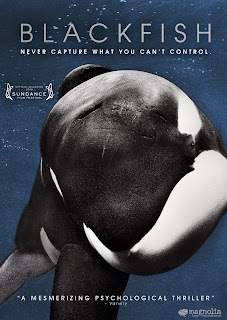 Using interviews with former SeaWorld trainers, orca experts and others, as well as footage of SeaWorld performances -- some that went well, others not -- the film traces the history of capturing orcas for display and performance with particular attention to Tilikum, and explores whether it is even possible to safely keep orcas in captivity and whether we should even try. Blackfish is a sad and mesmerizing film with no easy answers, but is well worth your time and attention. 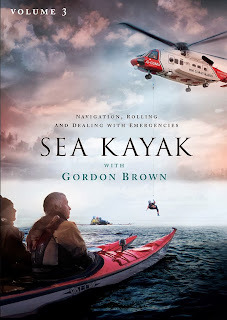 Film-maker and podcaster Simon Willis and kayaking coach Gordon Brown round out their trilogy of kayaking coaching films with their latest offering, Sea Kayak with Gordon Brown Volume 3. This third chapter differs from the previous two which consisted of an expedition film intertwined with coaching segments. This third volume does away with the expedition segment, and instead presents three films and and a rolling coaching segment. The first film is on Emergency Situations, and presents two scenarios where emergency personnel have to be called to perform a rescue. Much of this film is presented from the point of view of rescue personnel and I've never seen anything quite like this in a kayaking video. This is a terrific segment, with lots of important tips and information presented. This segment alone is worth the price of admission. For those of us who have been lucky enough to not have needed rescue, it was certainly eye-opening to hear the thoughts of rescue personnel, many of them also kayakers, of what kayakers can do to assist rescuers in emergency situations. Equally informative was a short scene near the end when the rescue personnel displayed their own emergency kayaking kits. A shorter but related film has a member of the Wilderness Emergency Medical Services Institute display the first aid gear he carries, as well as a couple of demonstrations of first aid situations. Some of the gear displayed is intended only for trained personnel, and a DVD is not going to replace actual first aid certification, but it is interesting to see what gear other people carry and the techniques they use. I'm certainly going to add some electrical tape to our first aid kit after watching this. In the third film Gordon is joined by Franco Ferrero for a segment on navigation. A DVD is not going to replace a proper sea kayak navigation course, but the information regarding navigation concepts and tides are well-presented here. Finally, the rolling segment is structured very differently. After a few exercises and roll demonstrations, the premise behind this segment is that the viewer will practice rolling with a spotter, as well as someone with a video-camera who will record the practice session. The viewer will then compare his own videos to the videos on the the DVD, using the troubleshooting section to identify mistakes, and then try to incorporate the fixes suggested. For instance, your roll might be failing, but why? Comparing your video to the common mistakes illustrated on the DVD, you may discover that your paddle is not at the correct angle and is diving down into the water instead of the staying at the service. You move to the fixes section and some tips are provided for you to try on keeping your paddle at surface level. At the risk of repeating myself, no DVD will ever replace having a certified instructor coaching you live and in the flesh, but the approach taken here is unique. Is it effective? We have yet to try it as designed by filming ourselves, but it seems like it should be a benefit to troubleshooting your roll (or lack of it). 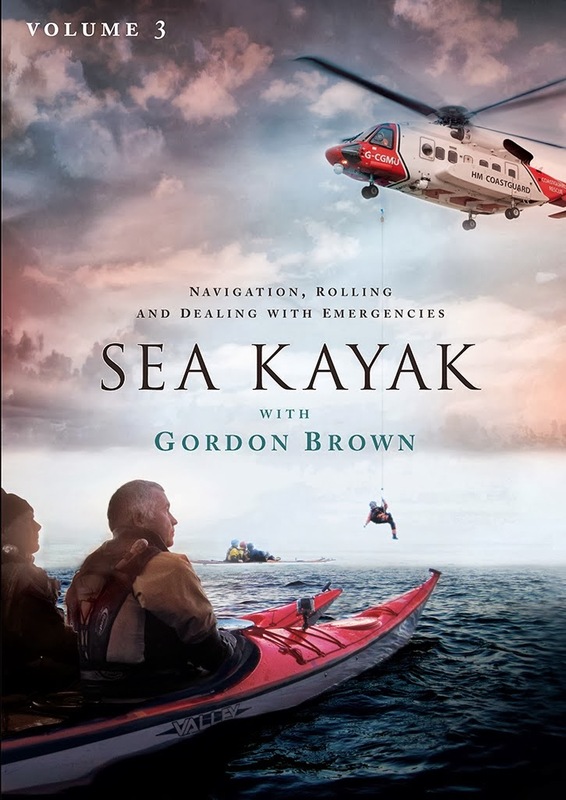 This is another winning DVD from Gordon and Simon and, taken as a set, the three Sea Kayak with Gordon Brown DVDs are as comprehensive a set of kayaking video tutorials as you are ever likely to find. Is there a benefit to keeping orcas in captivity? From a very narrow point of view, there probably is, as thousands of people can see these magnificent creatures who probably would never get the chance to. But what they are seeing is not typical orca behaviour in the wild; there are seeing glorified circus animals doing tricks and stunts far removed from their normal behaviours. And though the risk to trainers is now abundantly obvious, what of the risk to the physical, and perhaps more important, the mental health of the whales? Can intelligent, social and vocal animals with huge natural ranges be housed in what are essentially giant bathtubs, either in isolation or with unfamilliar orcas from different lineages with whom they can't communicate, without going a little nuts? As a child growing up here in Victoria, one of the most popular tourist attractions in city was Sealand of the Pacific. And perhaps the Sealand experience is a microcosm of the story of orcas in capitivity. Nowhere is that question of captivity more relevant than in the history of Sealand, and in the deaths of Miracle, and Keltie Byrne. 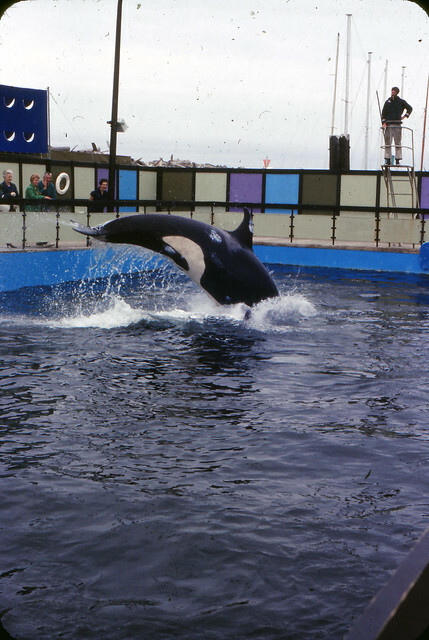 Miracle was a young juvenile orca found alone, shot, and starving on the east coast of Vancouver Island in 1977. She was captured and moved to Sealand, a six hour drive on the back of a flat bed truck. She survived the trip, but when she was released into a tank at Sealand, she sank to the bottom of the pool. Rescuers pulled her to the surface, and she began a long and difficult road to return to health, but she beats the odds. A Miracle. She eventually became a star attraction at Sealand, but in January, 1982, she somehow became entangled in the nets of her sea pen and drowned. Keltie Byrne was a trainer at Sealand. 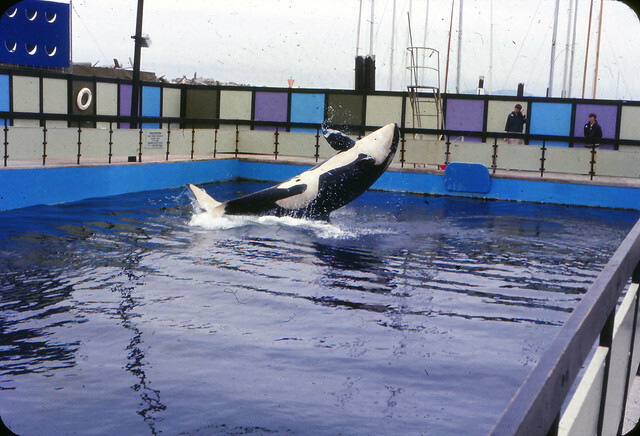 In late 1991, she slipped and fell into a tank with Tilikum and two other orcas. 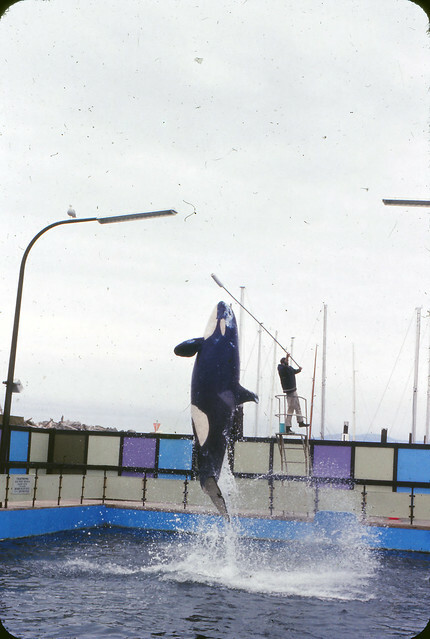 Sealand, unlike SeaWorld, did not do any water training -- the trainers never went in the water with the whales -- so having a trainer in the water was a new situation for the whales. Tilikum took her under the water and held her there, blocking her escape from the tank. Eventually all three whales began playing with their visitor. It took hours to retrieve Keltie's body from the pool. She was the first trainer ever killed by a captice orca. Sealand closed within a year. Tilikum was sold to SeaWorld. This is a heck of a lot of back story to get into for a book review, but David Kirby's Death at SeaWorld opens with Keltie's death, and Tilikum would go to even greater infamy, causing two more deaths at SeaWorld, including the title incident of the book. These are astonishingly intelligent creatures, as evidenced by a chapter when the author relates the story of a scientist running visual and aural training on two recently captured orcas and it quickly became apparent that in actuality the orcas were running tests on the scientist. Equally astonishing is the utter ignorance with which orca trappers went about their work in the 1960s and 1970s. Working under the mistaken assumption that the local waters contained hundreds if not thousands of orcas, on one memorable day trappers netted almost all of the local resident orcas in one net. Some they let go, some they took away to transport to interested aquariums, some they killed, tying concrete blocks to their bodies so they would sink. They conceivably could have sold or killed all of them, not realizing that it indeed would have been all of them, all of the local residents. It wasn't until a few years later in the the mid-1970s that scientists actually counted the local orcas, and were surprised to discover how few of them there really are. For anyone interested in the history of humanity's relationship with a fellow mammal, this should be required reading. The book tends to get bogged down with the legal ramifications of Tilikum's behaviour in its last third, but is utterly fascinating with its twin tales of modern orca research and the history of orcas in captivity. Here's some bonus content. These are pictures my father took at a show at Victoria's Sealand of the Pacific in the fall of 1971. I'm not positive which whale is pictured. It's not Tilikum, and my guess is it's probably Haida. In June of 2000, Pete Bray launched from St. John's. Newfoundland in an attempt to be the first person to kayak solo and unsupported across the Atlantic Ocean. Within a few hours, his kayak cabin was flooding, the cockpit was leaking, all his electronics including his communications gear was wrecked, and he was forced to take to his life raft, whose bottom was ripped and also leaking. And that's just the first eight pages of his book. Fortunately, [SPOILER ALERT] Pete was quickly rescued and tried a second and [SPOILER ALERT] more successful attempt in 2001. 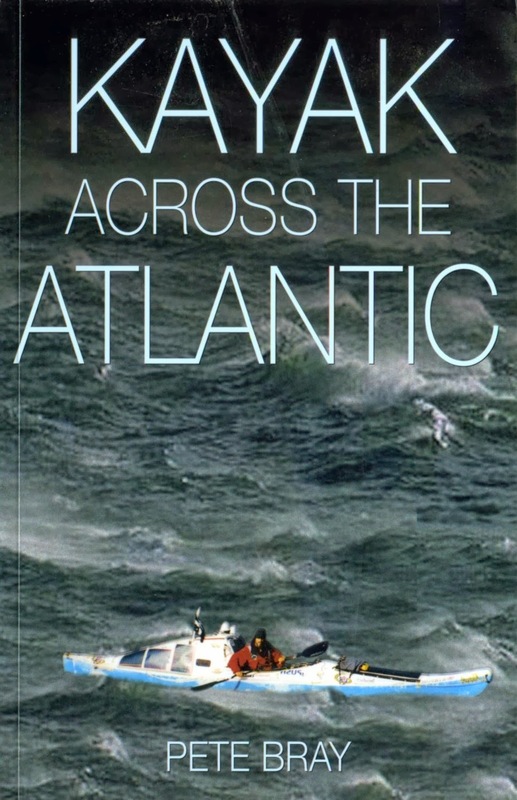 His memoir of his crossing is a short but enjoyable read, describing the preparations for both attempts, as well as the lessons learned from the aborted first attempt. He tells the tale of his 76-day crossing in a breezy and relaxed fashion, from the solar-powered gear that had trouble recharging because the sun never shined, to the publicist who had a strange aversion to seeking publicity. His tome is light and slim, but if you enjoy expedition stories, this is worth checking out. SPACEHOUND SKYLARK OF THE STARS AND BEYOND! !